On Jan. 21st 2012, we will be hosting an Equine-Assisted Psychotherapy (EAP) Seminar for Summit. This seminar is to teach people how psychotherapy can be taken out of the office and into the arena. We will be focusing on the EAGALA model which demonstrates how horses facilitate the therapy process. On October 15th 2011, we will be hosting an Equine-Assisted Psychotherapy (EAP) Seminar for Summit. This seminar is to teach people how psychotherapy can be taken out of the office and into the arena. We will be focusing on the EAGALA model which demonstrates how horses facilitate the therapy process. 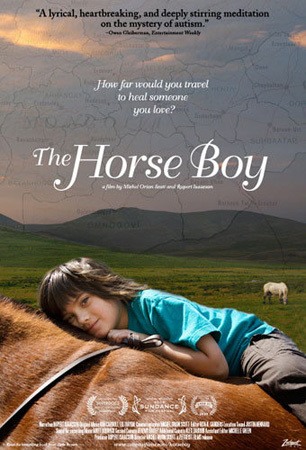 Come See A Film Screening of "The Horse Boy"
This story has been told in both book and film. Rupert Isaacson, Author of “The Horse Boy” will be at Ruff Ranch Stables training horse people on how to use horses to help Autisic children. Training is closed to the public. During his visit, he will show his film Titled “The Horse Boy” on site, in the indoor arena. So bring lawn chairs and comfortable clothes. Donations Welcome to Benefit the “Horse Boy Foundation” What are Horse Camps for Autisic Children: Horse Boy Camps offer a chance for Autism families, generally with children of 2 – 12 years, to immerse themselves in nature, away from man-made stimuli, interacting with horses in a way that helps calm neurological trauma and seems to help promote communication. Ruff Ranch Stables is hosting Rupert Isaacson for Summit Equine-Assisted Therapy. We are so excited to now offer English Riding and Dressage Lessons!! Lisa Hryciw, trainer and instructor, has joined efforts with us to expand our lesson program. She has been riding for over 20 years and specialize in both youth and amateur open showing. She teaches English equitation, Western pleasure and up to first level Dressage. She works with both Saddle type and Stock horses. She's a wonderful person and teacher. Both children and horses love her gentle way; she's clear, sensitive and direct in her teaching style and we are so glad to have her apart of our program.